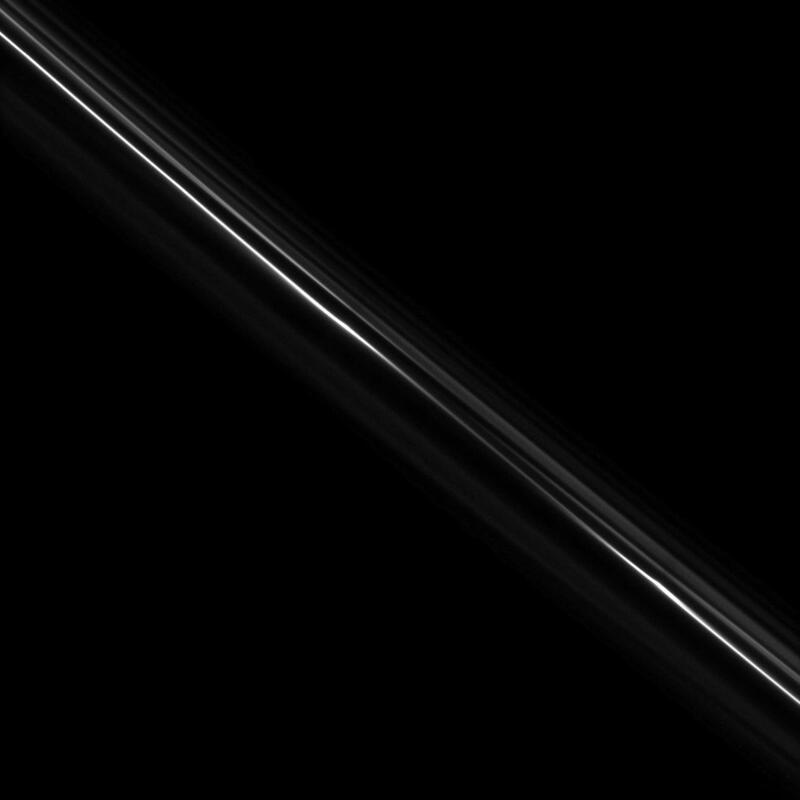 Structure in the tenuous F ring can be seen in this image of the ring's bright core. 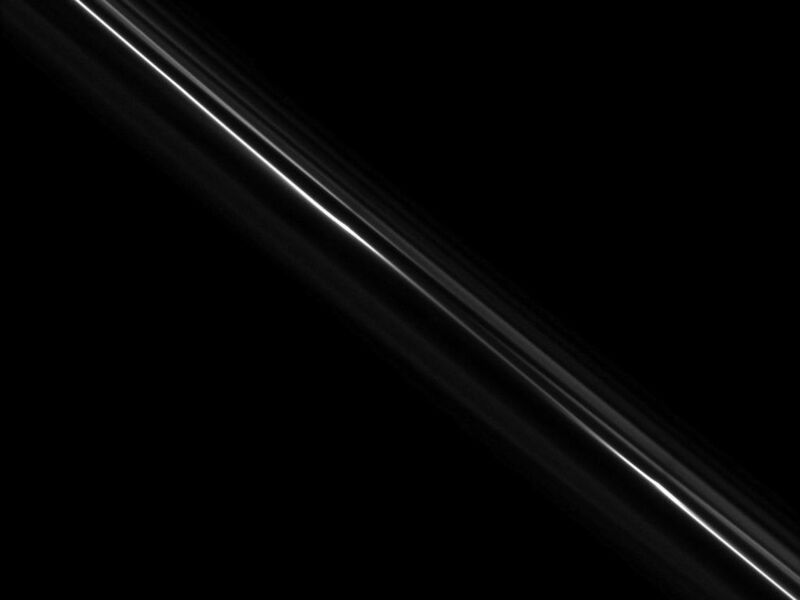 Much of the structure in the F ring is created by its two shepherding moons: Prometheus (86 kilometers, or 53 miles across) and Pandora (81 kilometers, or 50 miles across). The image was taken in visible light with the Cassini spacecraft narrow-angle camera on Dec. 8, 2008. 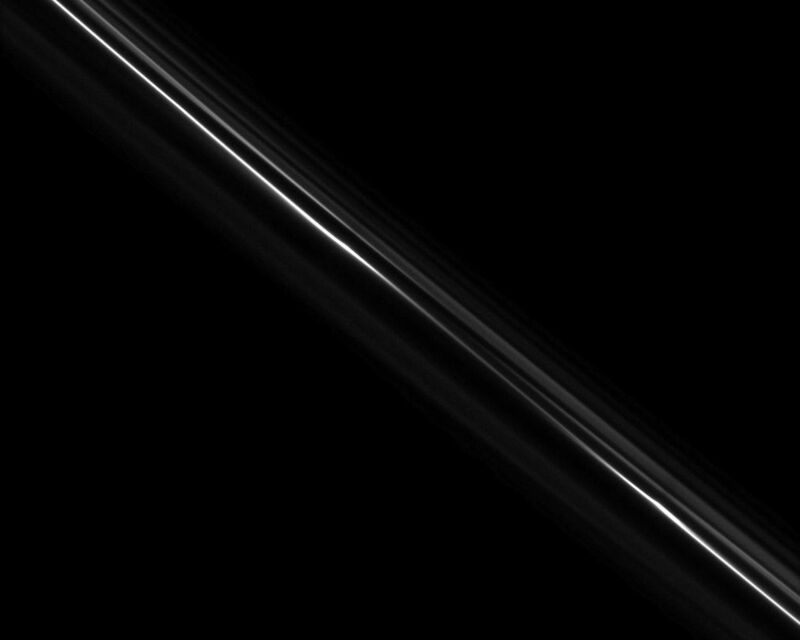 The view, which looks down from about 70 degrees above the ringplane toward the unilluminated side of the rings, was acquired at a distance of approximately 613,000 kilometers (381,000 miles) from Saturn and at a Sun-Saturn-spacecraft, or phase, angle of 77 degrees. 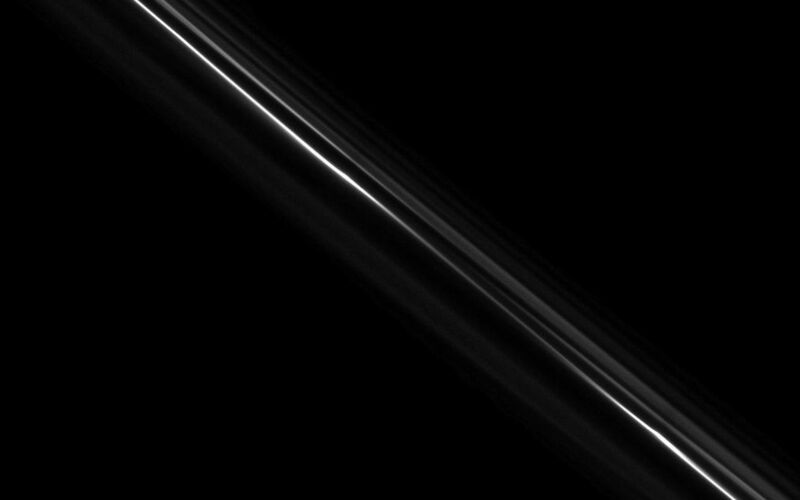 Image scale is 3 kilometers (2 miles) per pixel.